Cutting out the fat doesn’t mean you need to compromise on nutrition! 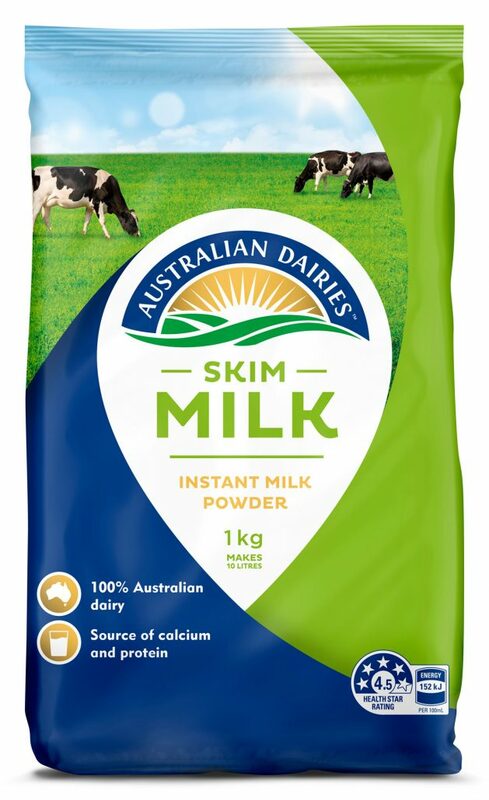 Australian Dairies Skim Milk Powder is fat free but still contains 8 essential nutrients, including calcium for strong bones and protein to support muscle development. Perfect if you are looking to watch your calories or enjoy a lighter tasting milk. 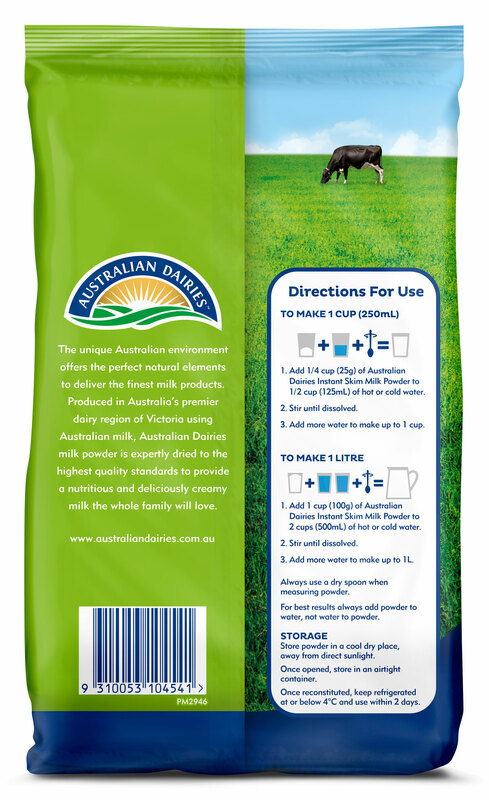 Add 1/3 cup (35g) of Australian Dairies Skim Milk Powder to 1/2 cup (125mL) of hot or cold water. Add 1 1/3 cups (140g) of Australian Dairies Skim Milk Powder to 2 cups (500mL) of hot or cold water.